Wiry Lotus is a member of the Pea Family. It grows to 3 feet in height and has grayish green leaves to an each in length that grow in groups of 3-5 leaflets. The plant typically grows in dry areas and rocky slopes at elevations below 5000 feet. The Wiry Lotus is also known as the Desert Rock-Pea. 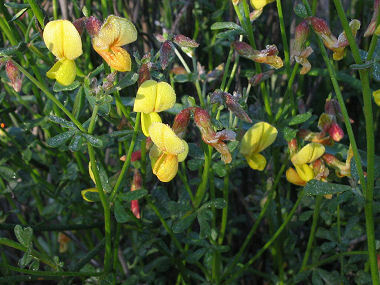 The Wiry Lotus typically blooms between February - May and produces a yellow pea like flower, with a large upper, backward flaring petal.